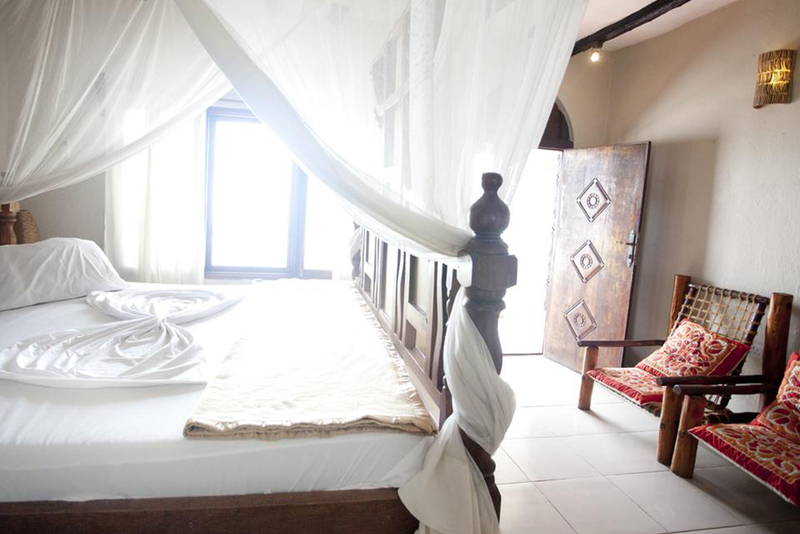 Experience authentic Zanzibar culture in our wide range of comfortable rooms. 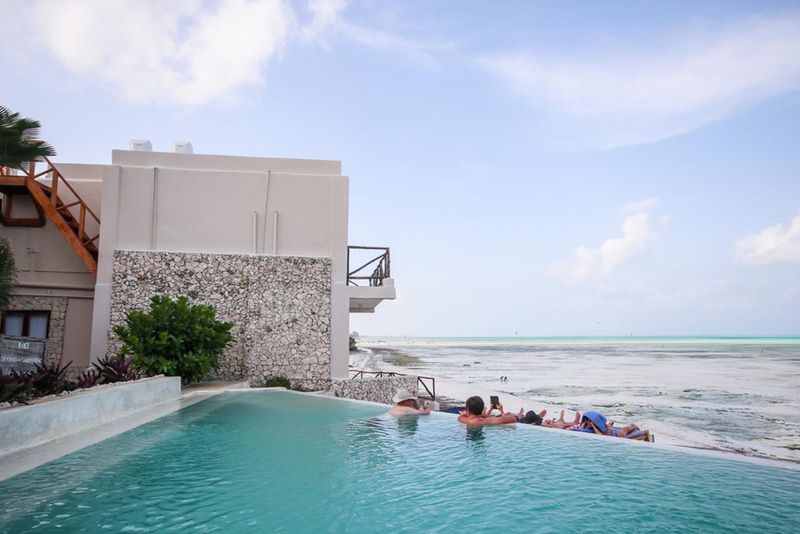 Visit a resort that's so far from the usual, that it constantly wins awards for how unique it is. 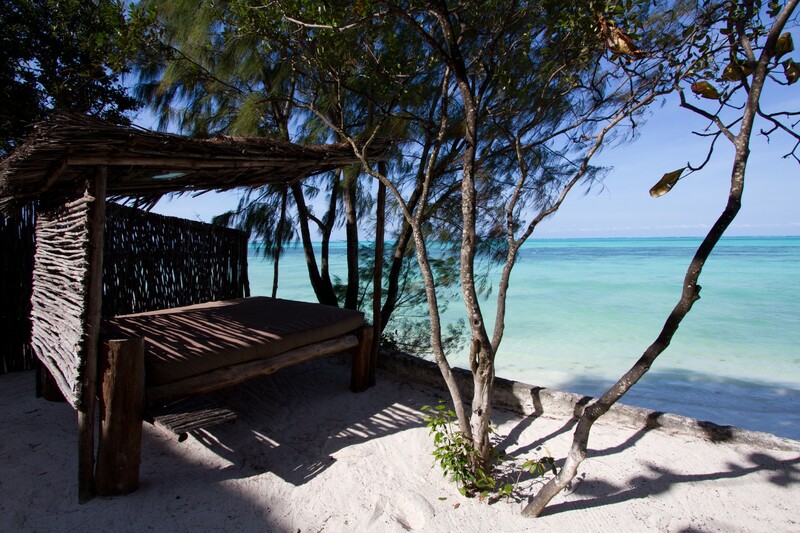 All of standard rooms at Coral Rock Zanzibar offer sea-views, private terrace areas, air-conditioning, ceiling fans, personal wall safes, and en-suite bathrooms with European toilets and showers (no bath-tubs). All triple rooms can be configured as either having a queen/king size bed with an additional single bed or with three single beds. Generators provides up to 9 hours power in the event of power failure. 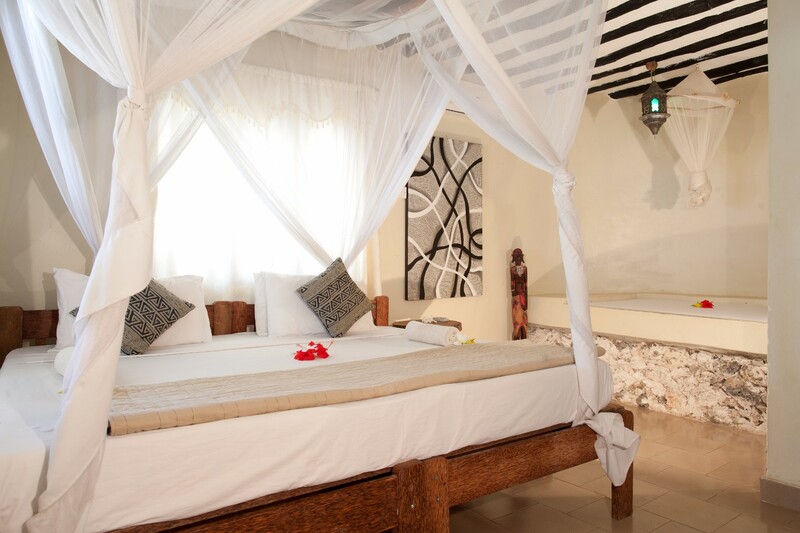 Our Superior Triple Room's are larger in size than standard rooms and have private roof or beach front access. Beds are either local hard-wood or concrete construction with wood trim. 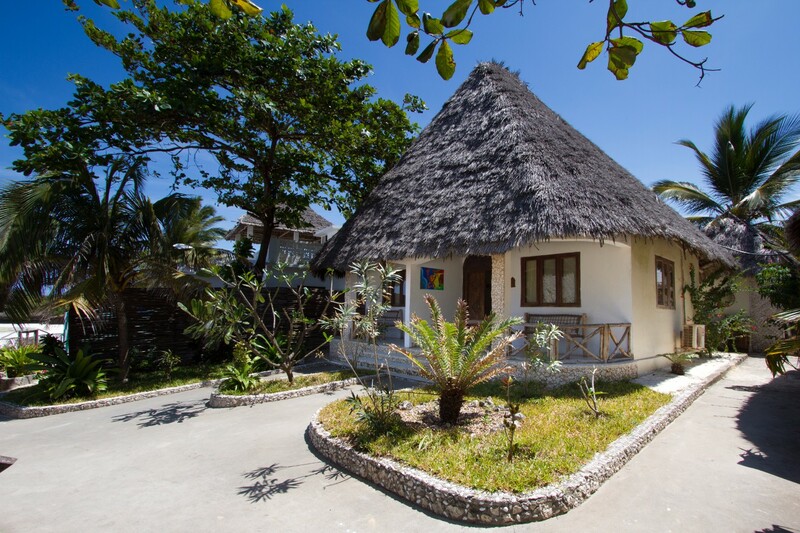 Deluxe Double Room with Sea View sleeps up to 5 individuals with in room access to an adjoining twin room and thus is ideal for families or groups. 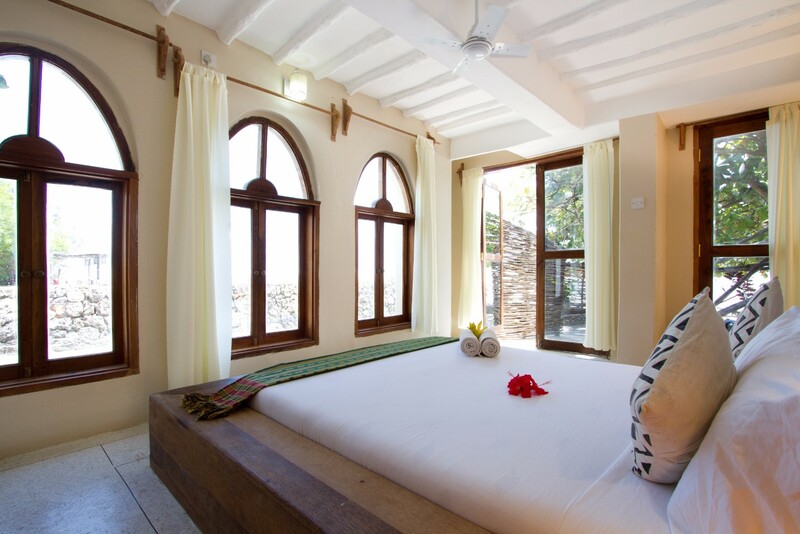 This room offers a high raised King Size bed, with a large window facing our incredible garden space. 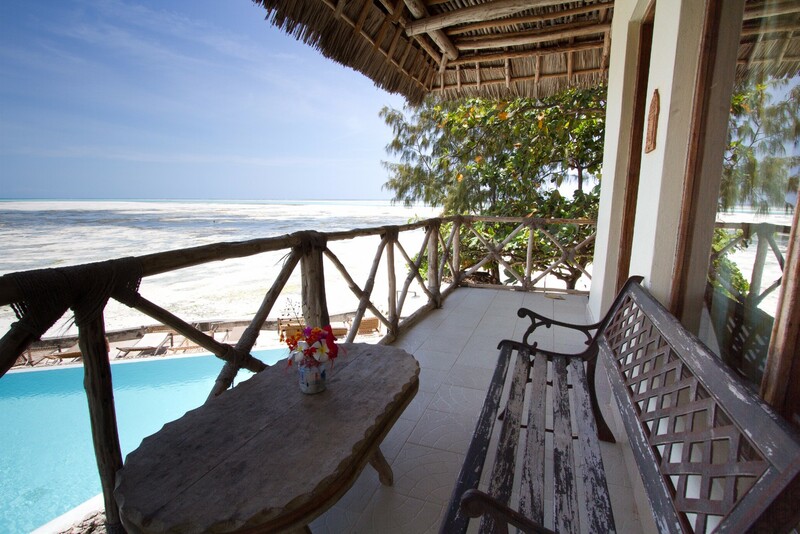 The Deluxe Double Room with Sea View offers two three-quarter beds, with a large window facing the pool and garden which you can enjoy from the comfort of your bed. 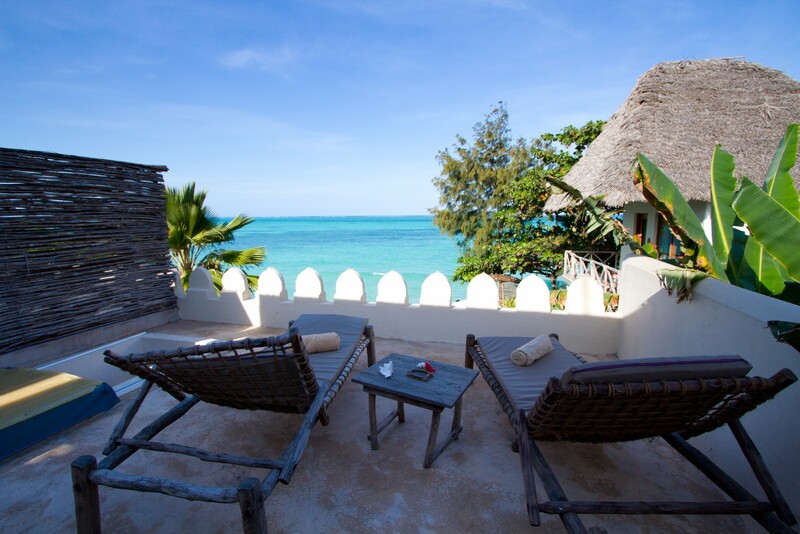 Our Superior Beach Terrace Double/Single rooms at Coral Rock Zanzibar are larger in size than standard rooms and have private roof or beach front access instead of, or in addition, to private terrace areas. 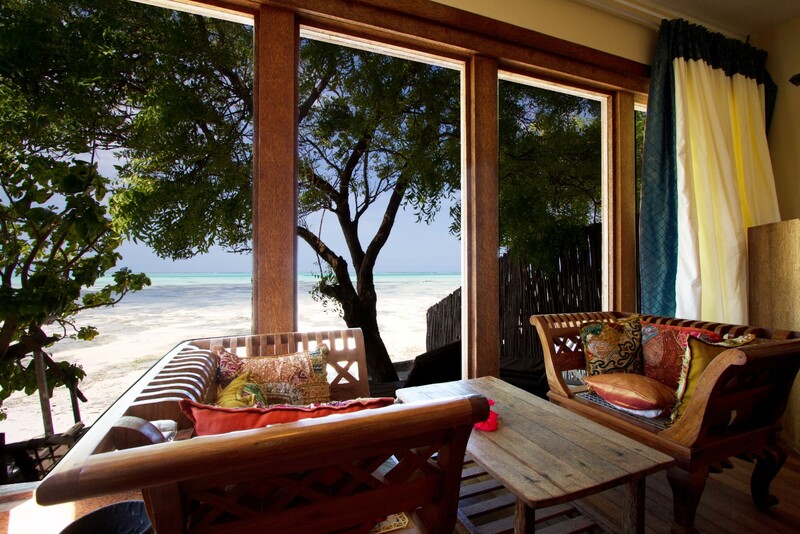 The Family Room's at Coral Rock Zanzibar sleeps up to 5 individuals with in room access to an adjoining twin room and thus is ideal for families or groups of up to 7 people. 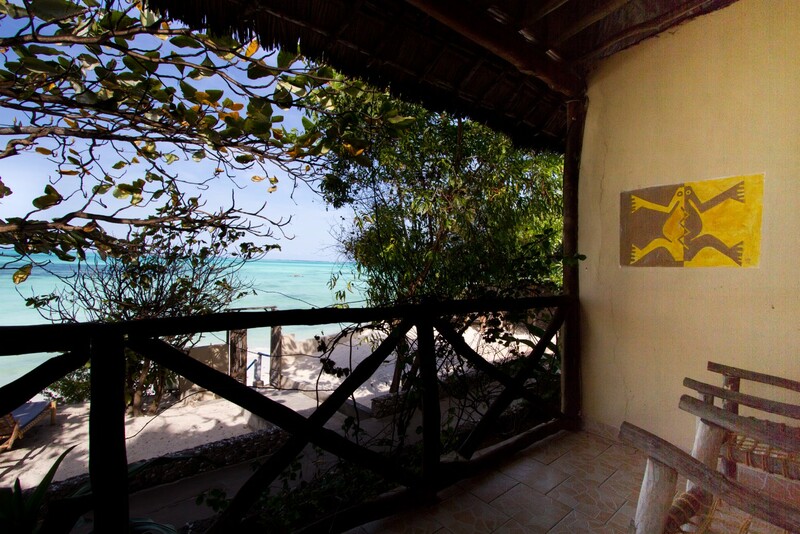 Our Superior Double Room's at Coral Rock Zanzibar are larger in size than standard rooms and have private roof or beach front access instead of, or in addition, to private terrace areas.